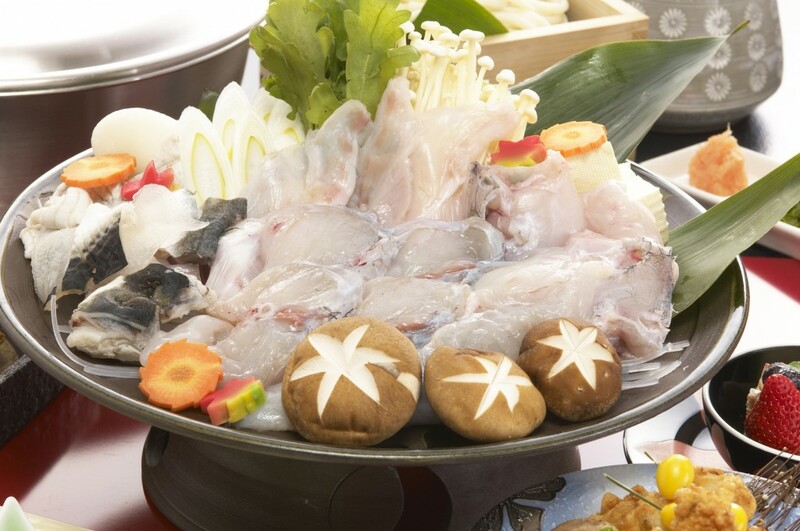 Tecchiri is another hot pot Japanese dish consisting Fugu (globefish). 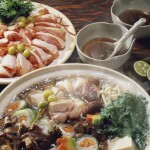 It’s also called Fugu Nabe. The ovary and liver of a globefish contain a deadly poison called tetrodotoxin, so the chef must have a license to prepare it. At restaurants, they usually offer dishes as a set of course. You can enjoy Tessa (thin sliced Fugu sashimi), grilled Fugu, deep fried Fugu and Tecchiri (Fugu nabe served with ponzu dipping sauce). 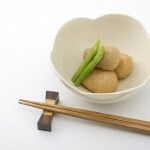 You can taste Shirako (soft roe), either as one of the ingredients for nabe or grilled with sweet soy sauce. If you like sake, please try Hire-syu, which is hot sake flavored with dried Fugu fins. There are firm raised Fugu and natural Fugu. Natural “Tora Fugu” is the most expensive. 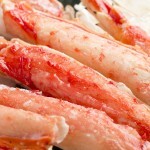 Although it’s said that the best season of Fugu is winter time, summer time is also the best season.